Ohhhhhhh! 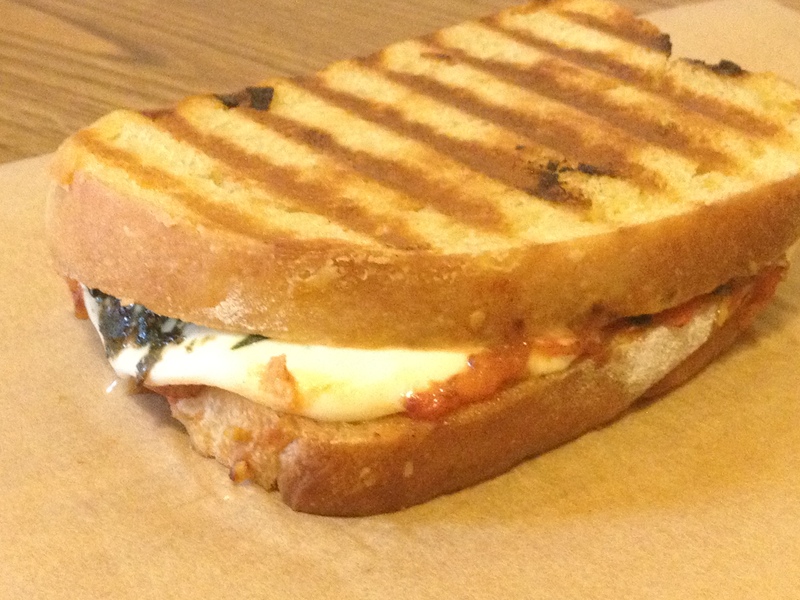 The quintessential Italian grilled cheese! Perfection on a plate. Thanks, its so good. Honestly, the bread made the sandwich. I cut each loaf in half wrapped well and froze them, just me here and I can’t eat that much bread. So I defrost half at a time and its just as good out of the freezer as it was the day I baked it. It’s the best bread EVER!! Oh, this is perfect!! I made the Italian Boule as well (in fat batards, par baked, one of which will be thawed and baked tomorrow) , and just happen to have a ball of fresh mozzarella in my cheese drawer. And some pesto. Lunch for Mr. T tomorrow! He’ll be so happy. ;o) P.S Congrats on being a finalist in the Whole Foods contest! What great news. Thanks so much, I love that recipe, and really like making the batards even more than boule. The sandwich is really good. Thanks about WF, I was the runner up, its ok hard to compete with Boeuf Bourguignon, mine was good but not something most would like I think. Thanks you! Grilled cheese sandwiches have got to be the ultimate comfort food! I love your Italian twist on it. I think I might need to make one for dinner with some tomato soup….your bread looks beautiful, BTW!! Thanks, oh yes, tomato soup and grilled cheese one of my all time favorite combinations. The bread turned out so good, its all boulangere and her great recipe, I only followed directions. It’s so amazing and I am not an accomplished bread maker. Thanks so much. Your sandwich reconfirms my need toile bread again. I am hooked. Love making bread its so vastly different from store bought, although thats much easier. Thanks so much. 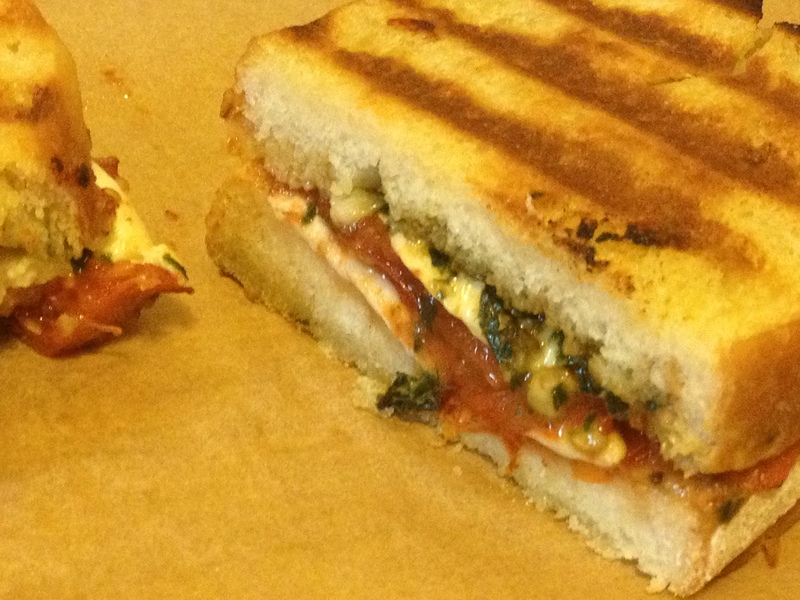 On my to do list: master thesolitarycook’s boule and then make this sandwich!! The bread is so fantastic, really easy to make also which was a big plus for me. Highly recommend the bread and IMHO the sandwich made with the bread.